If you’re a healthy person, you might not think twice about your liver – and for good reason. “If you’re healthy, you’re probably not even aware of what your liver’s doing,” says Anton Decker, MD, chief medical officer of Banner Medical Group and gastroenterologist in Phoenix, Arizona. Yet because the liver is such an important organ, it makes sense to get educated about it. This is especially true if you’ve been having health problems or have a history of liver issues. Here are answers to nine questions you might be wondering about. 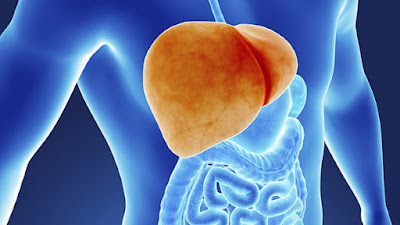 Give your liver credit for being one of the hardest-working organs in your body, as it performs hundreds of functions. “I call it the Grand Central station of your body,” Dr. Decker says. In a nutshell, your liver processes anything you eat or drink and either repackages it for your body to use or eliminates it. Focus on healthy eating. “Because the liver stores most of our nutrients – it’s the major organ for nutrient processing – anything bad you consume will be associated with potential for damage,” says Timothy T. Nostrant, MD, professor of medicine at University of Michigan in Ann Arbor. Keep three nutritional guidelines in mind: Get your fill of protein mainly from plant-based sources, focus on natural foods, and reduce fat in your diet, Dr. Nostrant says. For the protein your body needs to function properly, your best sources are plant-based foods like beans, legumes, and lentils. Although you can also get protein from animal sources, keep it to a minimum. Then load up on foods like vegetables, fruits and whole grains that aren’t processed or loaded with chemicals. Although diet is key, so, too, is keeping your weight in check by controlling portions and exercising regularly. Why? “Obesity is linked to fatty liver disease,” Nostrant says. That can lead to scarring or cirrhosis of the liver, even liver cancer or liver failure. If weight is an issue, set a goal to lose 20 percent of your current weight, which will substantially reduce risk of liver damage, Nostrant says. Also, avoid other risk factors for liver damage. Risky behaviors include abusing over-the-counter drugs like acetaminophen, a pain reliever that can cause damage if taken in large amounts over a small amount of time (take no more than two grams a day, Nostrant says). Finally, decrease your risk of liver damage from hepatitis C and hepatitis B by avoiding such things as; having multiple sexual partners, IV drug abuse, and body piercing or tattoos with unsterilized needles. Fatigue is the most common. You might also experience nausea, vomiting, decreased appetite, brown urine, or even jaundice — you’ll notice yellowing in the whites of your eyes. 6. What kind of test can be run if something is wrong? You’ll start with a blood test called the liver function test. It doesn’t actually test how well your liver is functioning but rather, if your liver is leaking enzymes, which would indicate that something is awry, Decker says. 7. So if I get a “normal” reading on this blood test, does that mean my liver is healthy? Not necessarily. “Having a normal function test is no guarantee that your liver is healthy, especially if you have a history that raises concerns about your liver,” Decker says. Depending your history and symptoms, your doctor may decide to do more tests, which might include ultrasound, CT scan or MRI. 8. What about getting tested for hepatitis C, and how do I even know if I’m at risk? Knowing your hepatitis C risk is important, largely because the prevalence of cases seems to be increasing, Decker says, adding that this may be, though, because of better testing. Hepatitis C is a contagious liver disease spread mainly through contact with the blood of somebody who’s infected with the virus. The Centers for Disease Control and Prevention (CDC) estimates that 3.2 million people have chronic hepatitis C, meaning that the virus has progressed to a long-term illness. Roughly 75 to 85 percent of people who become infected with the hepatitis C virus develop a chronic (versus acute) infection. Factors that increase your hepatitis C risk include using intravenous drugs at any point in life, receiving a blood transfusion or organ transplant before 1992, being treated for a blood clotting problem before 1987, being on long-term hemodialysis treatment, and possibly having multiple sexual partners. If you fall into any of these categories, your doctor will recommend blood tests to screen for the virus. The CDC also recommends that all people born between 1945 and 1965 get tested once. 9. What’s my prognosis if I am diagnosed with some type of liver disease? The three main diseases for the liver are fatty liver, viral hepatitis including hepatitis C, and genetic diseases. In general, if managed properly, all of these diseases have good long-term outcomes, Nostrant says. In fact, all of the viral hepatitis diseases are treatable, and because treatments for hepatitis C in particular are so effective, some people may completely eliminate the virus from their body.